Mr. Whitney is the managing partner of Whitney, LLP. He has an extensive background in product liability, clinical laboratory malpractice, medical device and pharmaceutical litigation, and toxic torts. Most recently, Mr. Whitney has become renowned in the area of bed bug litigation, obtaining several record verdicts on behalf of plaintiffs. He concentrates his current practice on representing victims of clinical laboratory malpractice, representing homeowners in termite damage claims, and bed bug litigation. While still a student, Mr. Whitney was a bailiff/law clerk for Robert L. Karwacki, who, at the time, was Administrative Judge of the Supreme Bench of Baltimore City. 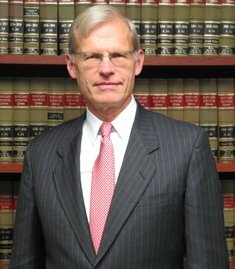 Prior to beginning his private practice, Mr. Whitney served as a law clerk to Judge Robert C. Murphy, late Chief Judge of the Court of Appeals of Maryland. “Application of OSHA’s Bloodborne Pathogen Standard to Bed Bugs,” Bloomberg BNA, Inc. Toxics Law Reporter ™, 27 TXLR 1186 (October 25, 2012).